Kevin Hart is without a doubt one of the funniest comedians today. He may be over-the-top with his antics sometimes, but for the most part, he’s a genuinely hilarious dude. Hyundai knows that, which is probably why the Korean automaker tapped Hart to star in one of its 60-second commercials for Super Bowl 50. 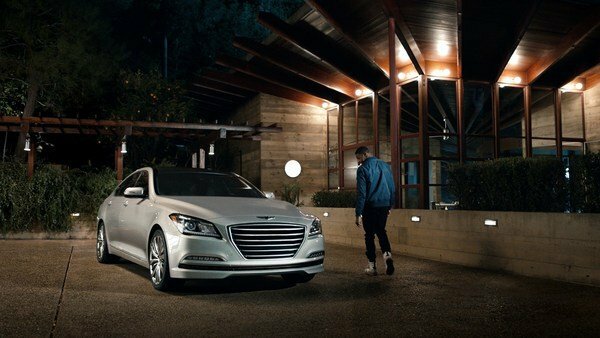 The ad is called “First Date” and stars Hart as an overprotective father who gives his daughter’s date the keys to his brand new Genesis sedan. The smug teenager gamely takes the keys not knowing that the Genesis sedan has Hyundai’s Blue Link Car Finder feature. Naturally, Hart did what every dad would do when his daughter’s out on her first date. In this case, he uses the Car Finder feature to track down the two teenagers and spy on everything they’re doing. He follows them inside the cinema, hides behind a wall of stuffed toys in a carnival, and somehow manages to find a Tiger helicopter to help in his snooping. Ok, not every dad does something like that, but for maximum effect, let’s pretend that they do. So the date ends up being a dud as the young girl comes home crestfallen, much to the dismay of the obviously rattled young man and to the delight of Hart. In the end, it does appear that daddy got what he wanted, all thanks to a great assist from the Genesis’ new Car Finder feature. “First Date” is the second of two 60-second commercials that Hyundai will air at the Super Bowl. The other one, called “Ryanville”, stars Ryan Reynolds and will air during the kick-off time slot. As for Hart’s commercial, keep your eye out when it airs in the pre-game show time slot.